All our products are based on the same thing: coconut husks. 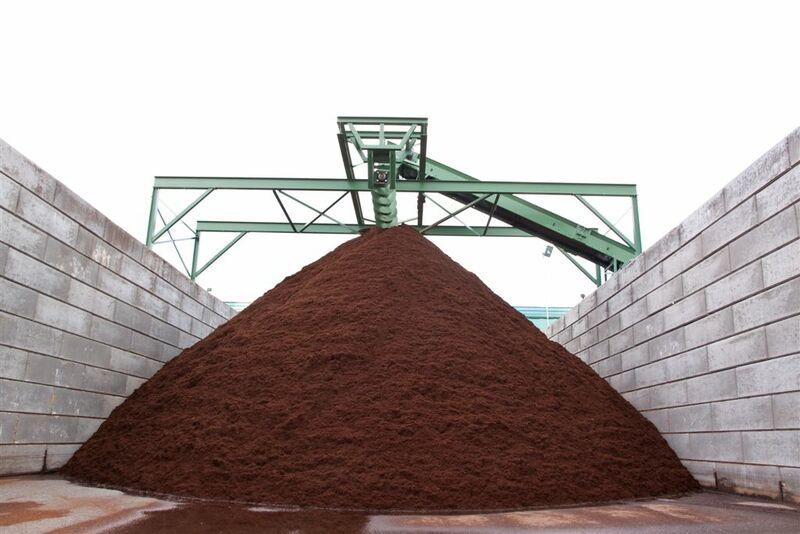 By using a variety of processing methods, we produce three materials: coco peat, coco chips and coco fibre. Once the husks have been received in our production plants they are stored centrally for at least six weeks, after which further processing can begin. The husks are beaten or decorticated to remove the fibres, which leaves us with coco peat. The coco peat is transported to our storage bunkers immediately after the fibres have been removed. There it is stored and so begins the ageing process in which the coco peat is stabilised. This process takes at least four months. Once it is over, we sieve the coco peat to remove the last remaining fibres. The coco peat is then dried and taken to the pressing shop, where it is compressed into 5kg blocks and briquettes. After this, the products are shipped in sea containers. After sieving, we can subject the coco peat to further treatment, e.g. the coco peat can be washed. Elements which are freely soluble in water, such as potassium, sodium and chloride, are removed. The salt content is reduced to an EC < 1.0 mS/cm [1:1.5 water extraction method]. In addition to this, we can also buffer the coco peat. During this process, calcium [2+] is introduced in order to remove monovalent positive ions such as potassium [1+] from the coconut complex. In this way, we remove not only elements which are soluble in water but also elements which are bound to the coconut complex. Washing and buffering can take place in India, but also in Helmond (the Netherlands). The fibre that we remove from the husk is excellent for use in growing media. Coco fibres improve the capillary action of the growing medium. For this reason, they have to satisfy a number of strict requirements, e.g. in terms of length, thickness and EC. We remove the fibres by decorticating, beating or defibring the husk. We then select them on the basis of thickness, as fibres which are too thin decompose at too fast a rate and therefore lose their effect too quickly. The remaining fibres are graded according to quality, cut to size, washed, dried and compressed. If we don’t split the husk into fibres and coco peat but break it up, we create coco chips. Chips are extremely suitable as an additive in potting soils. They make for a well aerated mixture, while at the same time holding moisture. Chips also undergo careful treatment before they can be used. They are cut first, and then either washed or buffered. After that they are dried and compressed.